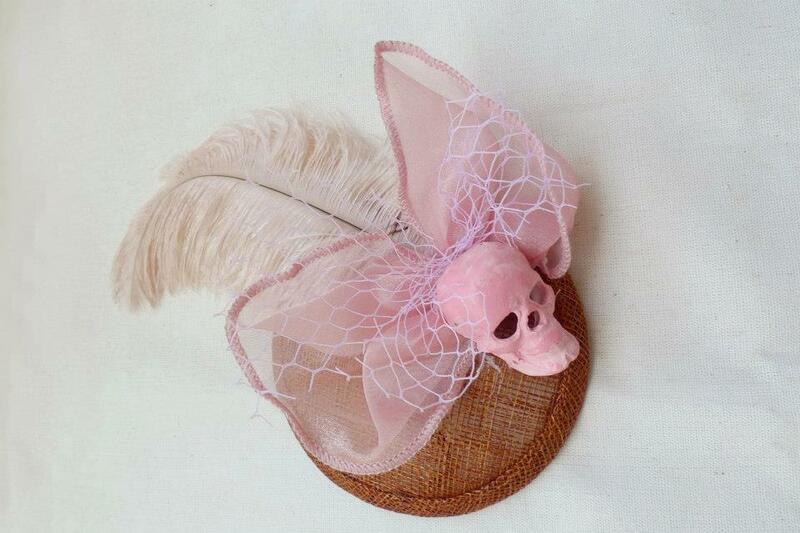 LIMITED EDITION SUGAR SKULL SERIES BY BONNE! 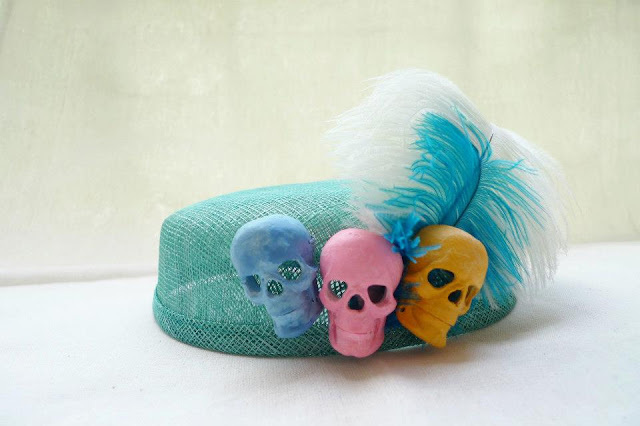 Rebellious Bunch Bonne by Bonsai Fojas never ceases to surprise us with her oh-so-creative head candies! 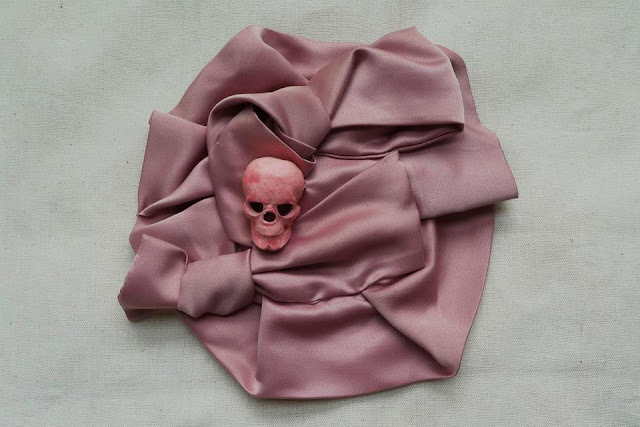 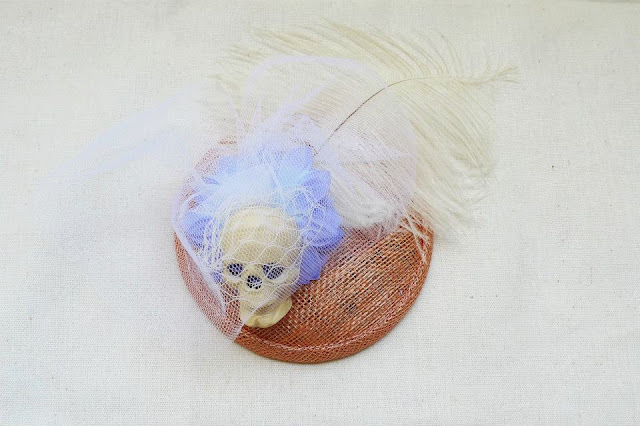 Hand-sculpted white skull by 13 Lucky Monkey, millinery feather, satin ribbon, french netting and brown sinamay base with elastic band underneath for a snug fit. 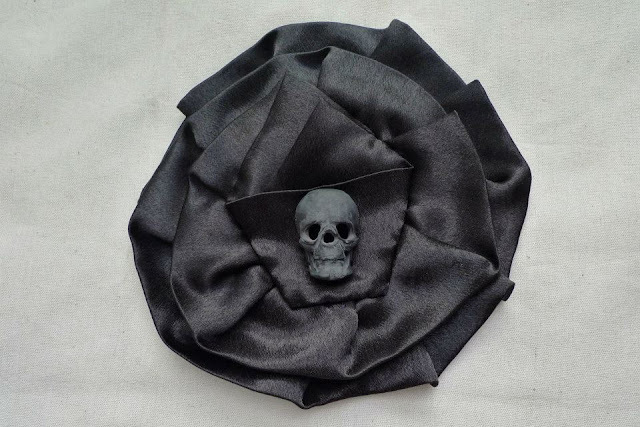 Hand-sewn and pleated from a single strip of fabric. 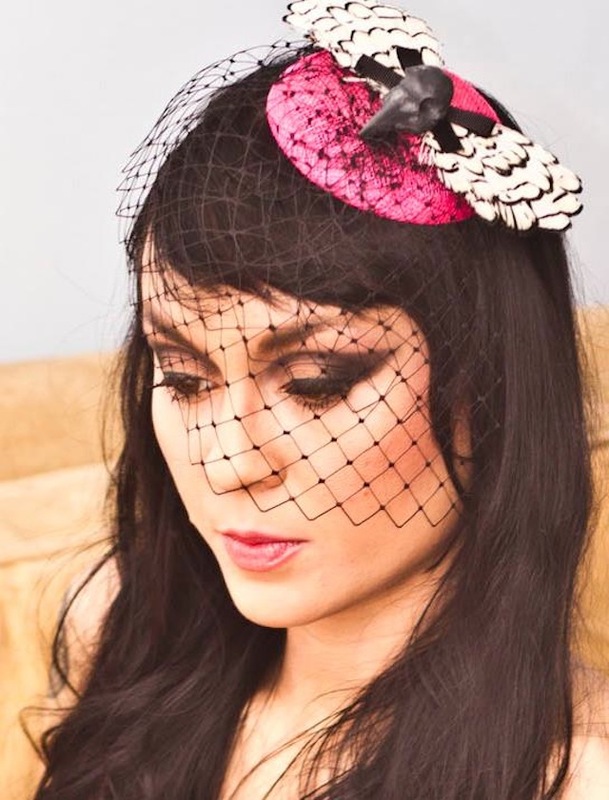 This fascinator comes with a small comb underneath. 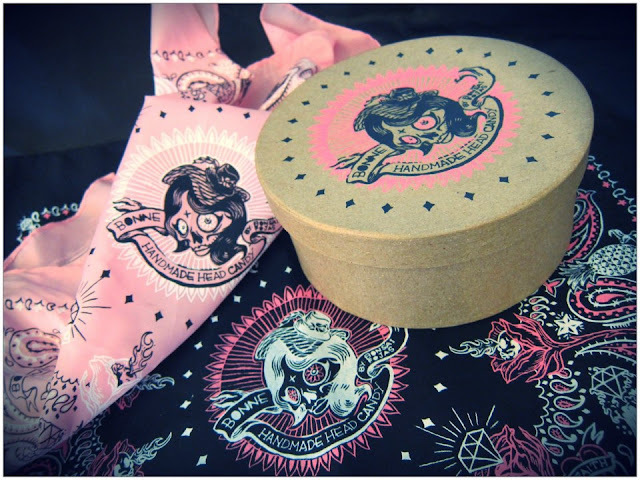 EACH SUGAR SKULL PIECE COMES WITH A LIMITED-EDITION BANDANNA WRAP AND SUGAR SKULL BOX. The bandanna wraps are custom-made by EVOLUTION OF PRINTING. Wrapped “Furoshiki” style using these bandannas will be the boxed headpiece or the headpiece itself.